With humble beginnings in Sweden, Husqvarna has come a long way since being founded as a musket manufacturer in 1689. From outdoor power products to motorcycles, Husqvarna has grown to be one of the best manufacturers of outdoor products. But how did it get here? After all, throughout the centuries, Husqvarna has produced an eclectic mix of different products, including sewing machines, bicycles, motorcycles and kitchen equipment. In 1978, Husqvarna was bought out and has expanded its product lines even more. Formerly composed mainly of chainsaws in terms of outdoor offerings, Husqvarna now offers lawn mowers, hedge trimmers, snow blowers, personal protective gear, tillers, sod cutters, seeders, sprayers, log splitters, and, of course, chainsaws. Innovation, development, and precision drives Husqvarna to find solutions to problems humans face with the commitment to a respect for nature, lower emissions, and better energy-efficiency in all that they do. Hiperfloor™ offers three concrete flooring finishes: industrial, commercial, and premium finish. Industrial finish. Designed for heavy use, this industrial finish is perfect for warehouses and department stores concrete flooring where there is lots of movement on the floor. Low-gloss, minimal lifetime costs, and slip-resistant are just a few of the many benefits of this popular flooring finish. Commercial finish. Designed for retail stores, shop fronts, and indoor public spaces, this commercial, medium-gloss finish is highly resistant to wear and spills. Functionality, low maintenance, and aesthetically pleasing are hallmarks of this concrete flooring finish. Premium finish. 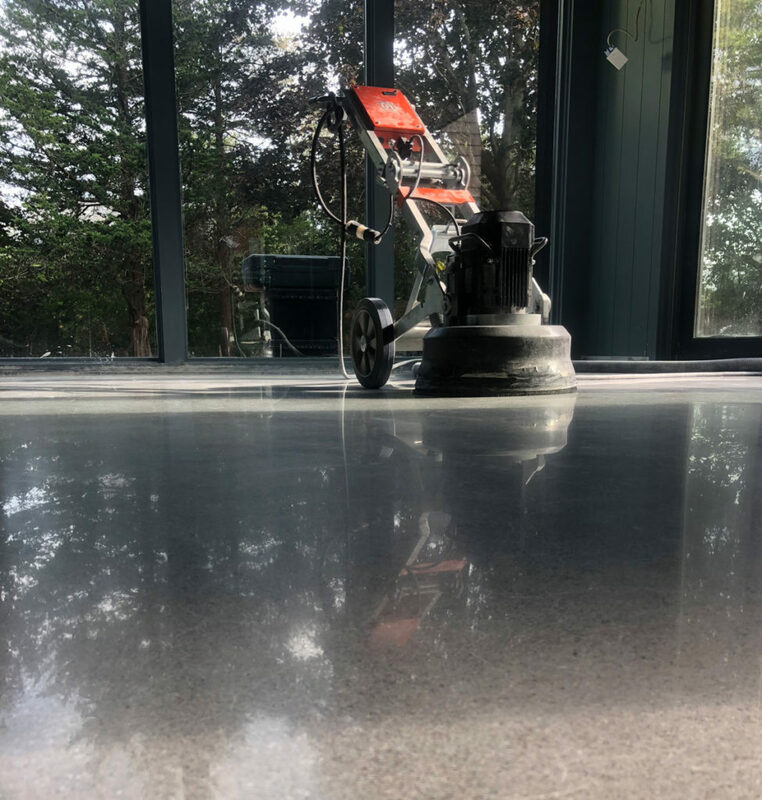 Ideal for showrooms where it’s all about the look, this high-gloss finish for concrete floors not only shines and is easy to clean, but it also is our highest quality finish and exceedingly durable. Hiperfloor™ is extremely low-cost to maintain. Our three finishes offers something for everyone. 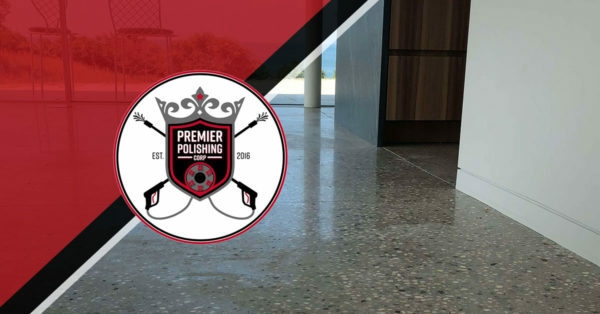 Call Premier Polishing today to get your Hiperfloor™ today! WHAT IS A CERTIFIED HUSQVARNA DEALER? With humble beginnings in Sweden, Husqvarna has come a long way since being founded as a musket manufacturer in 1689. From outdoor power products to motorcycles, Husqvarna has grown to be one of the best manufacturers. Because the Hiperfloor™ is a process invented and patented by Husqvarna, we want to make absolutely sure our processes are being performed correctly everywhere. Hence, we’ve developed the certified dealer program for Husqvarna Hiperfloor™. Premier Polishing takes flooring seriously. Our mission is to exceed your expectations for your flooring needs. We believe Husqvarna Hiperfloor™ is the best in concrete surface polishing systems. It affords amazing beauty, strength, and abrasion resistance. It is easy to clean and maintain, thus making the lives of homeowners and businesses easier. 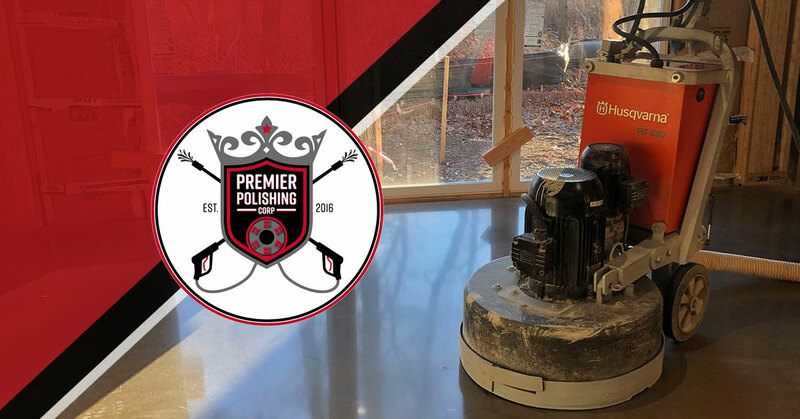 We bring the same high-quality products and services to all of our areas of expertise, including power washing and sealing stamped concrete and patios. 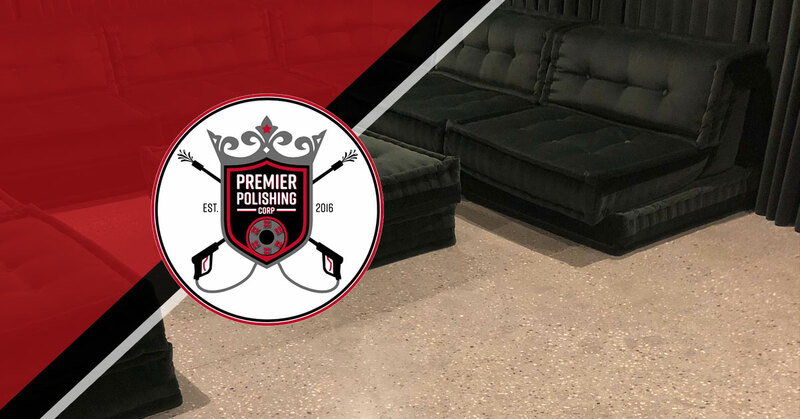 Premier Polishing believes that if you surround yourself with beauty, you’ll feel beautiful on the inside. You’ll be a happier person, and you’ll smile more. You’ll leave impactful footprints wherever you go when you feel good on the inside. A beautiful flooring that requires little thought to maintain goes a long way in a beautiful home. When you walk into a department store with beautiful, shining floors, you’ll spend more money and feel good doing it — which is exactly what businesses want. Husqvarna Hiperfloor™ is the best in polished concrete floors. Contact us today for more information!